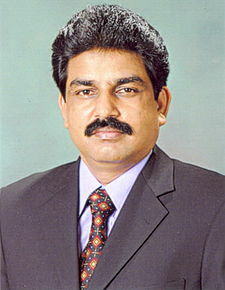 The Becket Fund grieves the assassination of Shahbaz Bhatti, Pakistan’s Minister for Minorities Affairs, today. Mr. Bhatti was gunned down leaving his home on Wednesday morning in Islamabad. He was an outspoken critic of Pakistan’s draconian blasphemy law, which prescribes death for offending Islam. Mr. Bhatti’s death, following the assassination in January of Salman Taseer, the former governor of Punjab who also called for repeal of the blasphemy law, deals another serious blow to Pakistan’s efforts to quell religious extremism. Bhatti’s murder is further evidence of the role of the United Nations in fomenting religious turmoil in countries with blasphemy laws. Every year since 1999, the United Nations has passed the “defamation of religion” resolution, making speech considered “defamatory” to religion a violation of international law. The resolution provides cover and legitimacy to domestic blasphemy laws such as Pakistan’s. The Becket Fund has worked to fight the “defamation” resolution and domestic blasphemy laws around the world, producing scholarly articles on its legal implications, collaborating closely with UN delegates, and filing a brief in the landmark case challenging Indonesia’s blasphemy law last April. Blasphemy laws empower states against their citizens, protect ideas rather than individuals, and engender violence by condemning peaceful speech, the Becket Fund argues. “Shahbaz Bhatti died suffering the reality of what blasphemy laws actually achieve — more violence. It’s time the United Nations acknowledged that reality and put an end to this resolution,” said Wu.